Pour wine into a large pitcher and squeeze the juice from the lemon, orange and lime into the wine. Toss in the fruit wedges (leaving out seeds ), cut apples and pineapple then add sugar,cinnamon, cloves orange juice and brandy. Chill overnight. 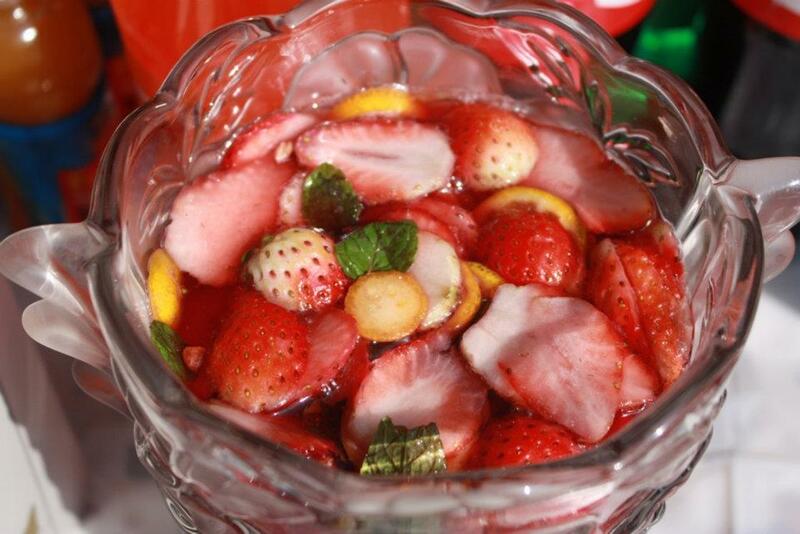 Add ginger ale/Sprite, sliced strawberries and ice just before serving.If you’d like to serve right away, use chilled red wine and serve over lots of ice.However, remember that the best Sangrias are chilled around 24 hours in the frig. – allowing the flavors to really marinate into each other. Pour in a cocktail bowl and served chilled…. Enjoy !! !